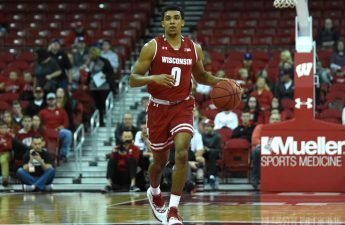 Following an enthralling 72–66 victory over Iowa Friday, the University of Wisconsin men’s basketball team (7-1) will return home to face Rutgers (5-2) Monday. The two teams had opposite fortunes in their opening Big Ten contests Friday. While the Badgers pulled off a comeback win over Iowa, the Scarlet Knights weren’t so lucky, going down 78-67 to No. 9 Michigan State. Junior forward Eugene Omoruyi and sophomore guard Geo Baker will be the main attacking threats for the visitors, putting up 15 and 14 points per game respectively this season. Along with his offensive production, Omoruyi is also averaging nine rebounds per game and has posted three double-doubles this season. Much has been made of Wisconsin’s three-point shooting, as they currently lead the Big Ten in three-point percentage. However, the Scarlet Knights have some sharpshooters of their own with the trio of Omoruyi, Baker, and guard Issa Thiam all currently shooting at least 45 percent from three-point range. Wisconsin has traveled a fair amount to open the season, playing five of their first eight games away from the Kohl Center. The same can’t be said for Rutgers, however, as they have played only one contest on the road — something to consider as they travel to the Kohl Center where the Badgers have yet to suffer a defeat this season. 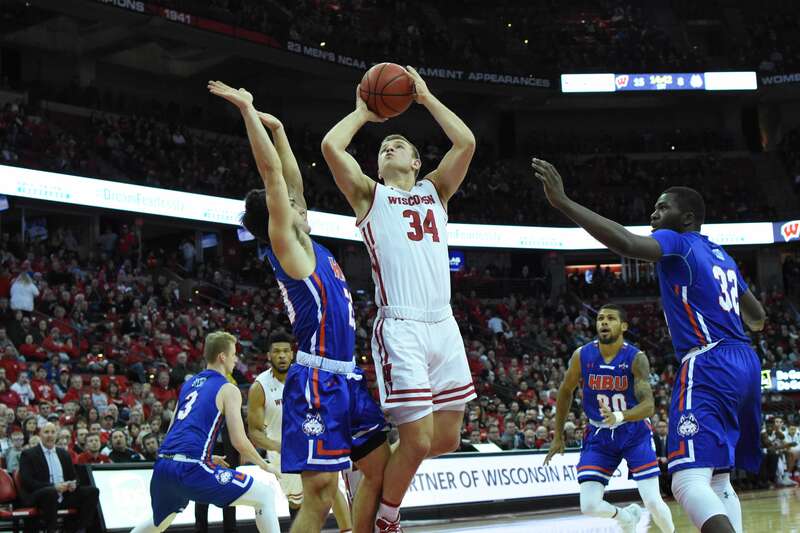 Wisconsin’s stars Ethan Happ, D’Mitrik Trice and Brad Davidson will once again be vital for the Badgers’ victory hopes. Recently, however, players like Brevin Pritzl, Kobe King and Aleem Ford have also played vital roles in Wisconsin’s success. 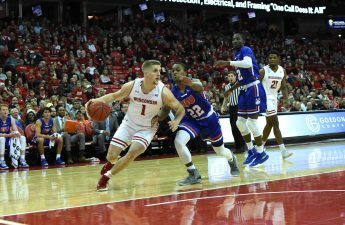 One concern for the Badgers is the health of sophomore guard Trevor Anderson after he was forced to leave the floor during Friday’s victory against Iowa after appearing to re-injure his right knee. The severity of Anderson’s injury and its implications on Wisconsin’s rotation are not yet clear. With tip off set for 7 p.m., those unable to make it to the Kohl Center can catch all the action live on the Big Ten Network, listen on the Badger Radio Network, or follow along with the team’s official Twitter account @BadgerMBB.